I’ve lost something. I’m not sure what it is, so beginning the process of looking for it is proving to be somewhat problematic. I suspect it’s my enthusiasm, though other likely candidates include my nerve, confidence, fervour and gusto. Whatever it is, its loss has resulted in a recent brevity of blog posts, for which I apologise – aortically, if not wholeheartedly. Now that the Booker prize is done and dusted, the thought of sitting down to hack-out articles about the remaining un-reviewed longlisters fills me with dread. Well, perhaps ‘dread’ is the wrong word; but the anticipated boredom of it all is proving to be an insurmountable obstacle to my output. The lavishly decorated tables around which the hopeful (and the hopeless) nominees sat three weeks ago have long since been cleared, the confetti swept away (if confetti there was), and I imagine that the gong itself is already gathering dust on Howard Jacobson’s much-adorned mantelpiece. And now, so far away from the buzz and bet-making of the build up, I just can’t bring myself to review the out-standing nominees. I should have seen this coming. Post-facto reviews of books that were nominated for (but didn’t win) literary awards can so easily be accused of pointlessness. They’ve missed the boat. Their ship has sailed. And, disposing of further nautical clichés: nobody cares. After all, we know that The Betrayal by Helen Dunmore didn’t win the Booker prize, so why should I invest my increasingly precious time and energy in writing about it? Well, for two reasons: firstly, I’m a fervent completionist, and the thought of leaving the remaining Booker nominees un-reviewed is starting to irritate me, causing an itching in my mind: like a literary eczema. Secondly: I don’t want to give the impression that, just because a book didn’t win an award, it’s not valuable or worthy of time and consideration. The problem is: I’m desperate to leave this ‘Booker prize challenge’ behind me, and move on to something new. At the same time, I don’t want to just ‘phone in’ the remaining book reviews, especially as my recent efforts have been so long and loquacious. After explaining my predicament to a friend, they suggested that I should stop being so airy-fairy (or was it arty-farty?) and take a more ‘scientific’ approach to review writing, in order to systematically churn-out the remaining reviews. The idea seemed to imply that 1) science is antithesis to art and, by association, 2) that my blog posts are in some way artistic. Clearly both implications are utterly preposterous. However, I thought there was merit in the idea that I change my approach; a change being as good as a rest… at least proverbially. But don’t panic; I’m not going to use this review to espouse some abstract New Critical formalism – an approach so often (and wrongly, I think) described as literature done scientifically. I’ve decided, instead, to take my friend’s advice entirely literally. So while I’m sure that this isn’t exactly what my friend had in mind, what follows is my “scientific” review of The Betrayal by Helen Dunmore. Enjoy. Or not. 3 x quiet afternoons – concentrated. An experiment was carried out to measure the effectiveness of The Betrayal on a reader. I read The Betrayal over the course of three days in late September; the kind of crisp and slightly cold days when you can almost feel the knees of summer finally starting to buckle and bend to the restless shunt of the coming autumn. Which was appropriate, as much of the novel takes place during this kind of weather. The Process of reading required a muster of both patience and dedication – fuelled by a constant supply of Lucozade (this particular formula was a dilution of 16mg of caffeine per 100ml). Notes were taken using a bic biro (blue), and significant moments during the process were marked with post-it strips applied directly to the subject. Moments of severe frustration were noted by my throwing the subject against the floor – this did not damage the apparatus in any significant way; it being of such low quality to begin with. The reading, ingestion of Lucozade, taking of notes and physical abuse of the subject were repeated until all 396 grams of The Betrayal had been examined. The Betrayal is set in post-war Soviet Russia, specifically: Leningrad, 1952. Andrei is a young doctor forging a life with his wife, Anna, and her much younger brother Kolya, whom they are raising since the death of Anna’s parents during the siege of Leningrad. The ‘blurb’ informs us that Volkov – a member of the “secret police”- sends his terminally ill son to Andrei for treatment. I predict that Volkov’s son will die very early in the novel. Volkov, seemingly a judgemental, conservative and quick-to-anger secret-police type, will probably blame Andrei for the death of his son, and (being an unreasonable secret-police type) have him arrested/his family spied upon/ his wife taken from him – or some such unjust course of autocratic yet state-sanctioned action which exposes the corruption rampant at the core of the “secret police”. As a work of historical fiction, I also predict much period detail demonstrable of intricate research and a dedication to narrative realism. My unrivalled powers of foresight also lead me to expect that, at some point, somebody will be betrayed. Not as predicted. The Betrayal betrays itself — the lazy process of its own creation is exposed by an almost alarming lack of historical detail. I have nothing but the most meagre, popular-history understanding of Soviet Russia, yet I could probably write a more historically informative and complex novel than Helen Dunmore has. The only hints to period or place are irritatingly simplistic catch-alls, such as the nebulous phrase ‘Soviet Russia’ or the anachronistic ‘secret police’. Whether these “police” are the Cheka, the MVD or the ‘People’s Commissariat’ (or any of the other myriad state enforcers working under police jurisdiction at the time) is never divulged to the reader. We just have to settle for the ill-defined moniker “secret police”. This is simplification to a detrimental extent. Other than being (constantly) told that we are in “Soviet Russia”, there is very little information here: almost nothing about the organisations, politicians and bureaucracy that the novel is supposedly about is supplied in any detail. A half was fifty years, a quarter was twenty five. “I felt it go through me” she said “here” And she touched the place where most people seem to think their heart is. It’s an astonishing act of linguistic tapinosis (language that debases a moment of beauty): a rhetorical technique usually reserved for comedic farce or satire. Narrative style aside, the plot of the novel enfolded entirely as predicted. Volkov’s son (under the care of protagonist Andrei) does die – Volkov blames Andrei for the death, and a long process of unjust incrimination, spying, false accusations and confession under duress ensues. Put simply; The Betrayal is a novelisation of the ‘Doctors Plot’ of 1952; during which many physicians were spied upon, arrested, imprisoned and even executed for no more valid reasons than the suspicions, fear and whimsy of the authoritarian state. The problem is that Helen Dunmore examines the Plot through clichéd characters and predictable story telling. Andrei is Doctor Zhivago in all but name: “I wish I were a poet” he states at one point, as if Dunmore is self-consciously trying to ensure some distinction between her own persecuted physician, and Pasternak’s. Volkov, as mentioned, is an archetype in print: the too-powerful secret police official whose personal failings and insecurities are manifested in acts of arbitrary murder and persecution of the innocent. I saw the major plot-twist of this novel coming right from page one: and that it takes so long to get there only added to my irritation. All of these observations, however, are made with caution. After all, this is a scientific review, and maybe in observing The Betrayal, I changed it. Not good. The Betrayal is the worst kind of historical fiction: predictable, derivative, lacking in detail and patronising. All of this is made even more upsetting by the fact that Helen Dunmore is usually such a wonderful, moving writer. It’s almost painful to type, but maybe this book is beyond her. I’m also amazed that the Booker judges saw fit to nominate the book to their longlist; it just doesn’t compare to the other pieces of historical fiction that were listed. At this point in a scientific report, I would usually comment on how I would improve the experiment in future attempts. This time, however, such comments are entirely unnecessary. I won’t be reading The Betrayal again. 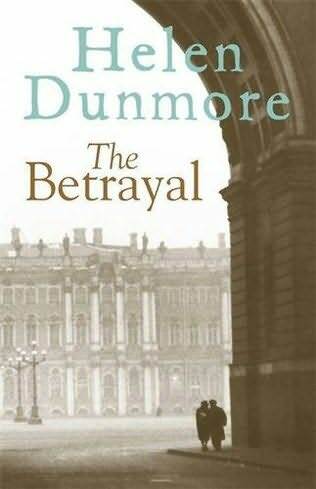 This entry was posted in Novels, Reviews and tagged Booker Prize 2010, Booker Prize Longlist., Helen Dunmore, The Betrayal. Bookmark the permalink. I thought The Betrayal was OK, but nothing special . I urge you to try The Siege – it is in a different league to this book – beautifully written, emotional and original. I don’t see why this book made the long list either – I’m currently reading The Wilding and it is far better. I like the change of ‘tactics’ in your approach. 🙂 I really enjoy your insights. To be honest, I’m a bit embarrassed that I actually posted this. It’s pretty daft – and far from my best review. But I was worrying about how long it’d been since I’d last posted something here – so I kinda rushed this out just to have something to update my blog with. I think using a novel device (i.e. gimmick) to frame one’s thoughts can be revitalising. I really enjoyed reading this – though I haven’t read The Betrayal. Thank you, that’s very kind – thanks for taking the time to comment. Indeed, the ‘science experiment’ gimmick wasn’t meant to offer some new and unusual insights into the text: it was merely intended to give me the motivational kick-up-the-arse I needed to sit down and churn this review out. I just spent a good 5 minutes laughing at the idea of approaching a book with the scientific method, yet, it seems to have been effective. Also, “biro” is not a word I’m used to, so I had another moment’s entertainment staring at that. It’s always unfortunate when you feel compelled to read something because you set out to, rather th an reading out of enjoyment. I have faced a few books which I felt compelled to finish because I had started and I was damn well going to finish. It has never been a good idea, and I have always ended up miserable and cranky because of it. I’m not usually precious about books – and have willingly given up on many novels that have bored me senseless. But as this was part of my Book prize challenge thingy, you’re right, I did feel compelled to finish the whole thing, unfortunately. Yeah, the fact that you called it a Bic Biro was a clue (and a quick IM to a friend answered it for certain). Surprisingly, despite a lot of “so, a cookie is a biscuit, so what do you call what we call biscuits?” conversations in the past, we’d never gotten to “Ballpoint/Biro” territory. I just read this book – nothing special indeed – but the main thing I dont understand is the title. Was there a certain or special betrayal I missed?